Escape the everyday routine and head out into nature! With its comprehensive weather protection, the Convey Tour HS Hooded Jacket Men will make your experience in meadows, forests and mountains complete. The Gore-Tex® 2.5-layer fabric features high-quality tailoring. Its very small packing volume allows you to create the ideal layered look, because as soon as you start to feel too warm, you can easily stow the jacket in your backpack without it taking up too much space. 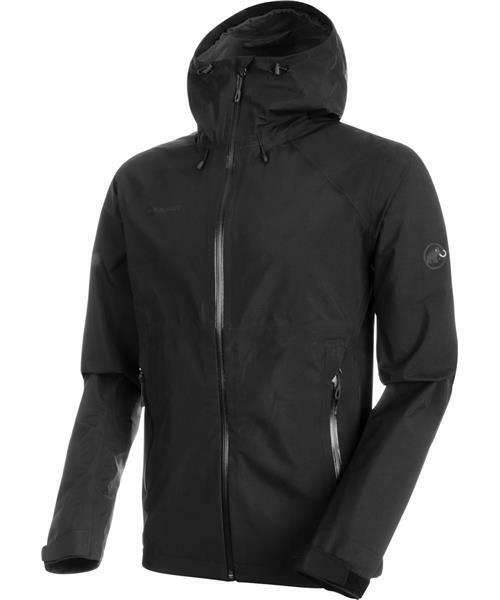 The Gore-Tex® fabric with a 28,000 mm water column makes the jacket waterproof and protects you from heavy showers. Allowing you to master the elements. A few extra features add the finishing touches to the jacket: including a 3-point adjustment system on the hood for an optimal fit, pre-shaped elbows and an adjustable hem. One jacket - a whole spectrum of possibilities!